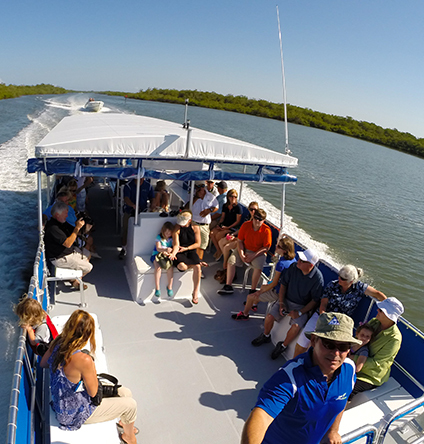 Enjoy a 90-minute history and ecology river cruise with Pure Florida Fort Myers. 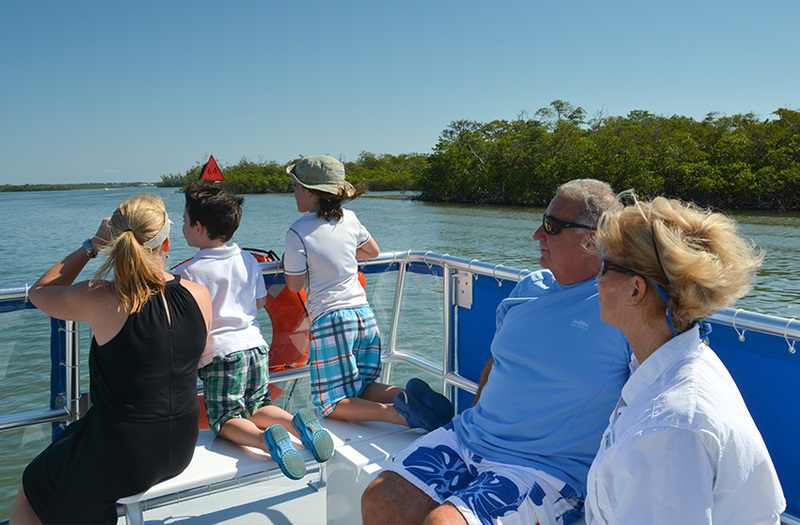 Guests cruise along the river to see the Edison & Ford Winter Estates, downtown Fort Myers, bird rookeries, mangroves, river islands and more. Pure Florida certified Captains entertain guests with interesting narration of the history of Fort Myers and the river. While Pure Florida cannot guarantee seeing wildlife, birding enthusiasts will love the cruises and our Captains are always on the look-out for a manatee or dolphin sighting! No one under 16 permitted without parent or guardian 18 or older. 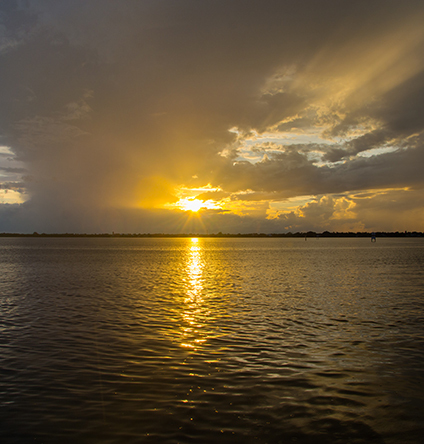 If you have chosen this Sunset Cruise, your captain will stop the vessel on the beautiful Caloosahatchee River for a few moments to allow you to watch our glorious sunset – the reflection on the water is magnificent providing some wonderful photo opportunities. You will witness the wonderful array of birdlife as they come home to roost upon their favorite rookeries for the night. Once the sun has dropped over the horizon of the Gulf of Mexico, you will see the beautiful colors in the sky. We recommend that you take as many photos as you can to remember your experience. The birds will have roosted in their rookeries, and the quiet peace on the river will be awesome. No one under 16 permitted without parent or guardian 18 or older. Find your own island, discover beautiful wildlife, do some recreational fishing or just cruise at your own pace. 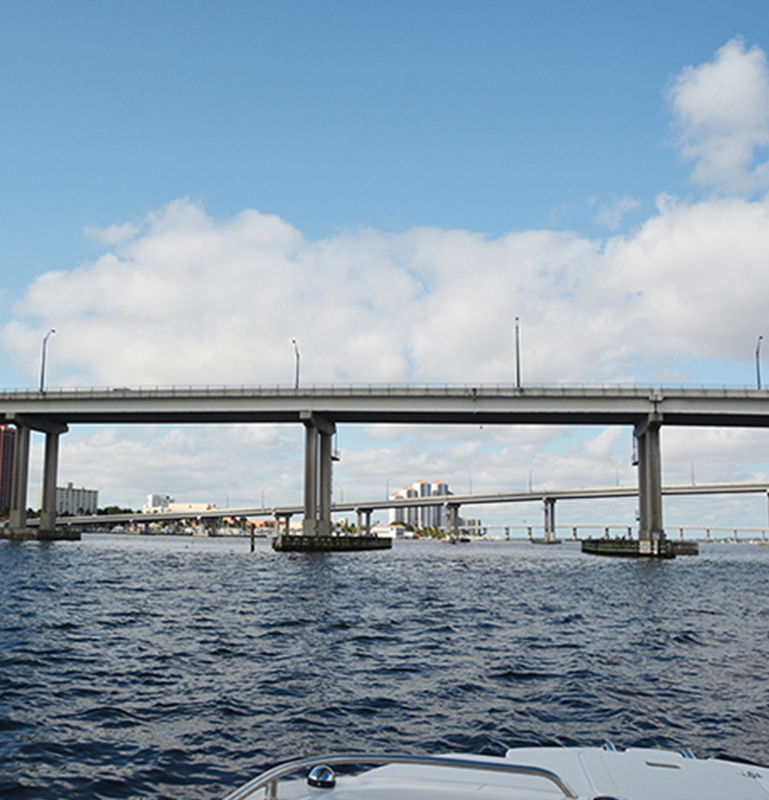 Avoid congested beach traffic and head south to downtown Naples. Our crew will give you one-on-one information and details of the area. Pure Florida’s Hurricane Deck Boats are equipped with life jackets, cruise charts and safety equipment including GPS positioning for your added safety. Pure Florida’s half day boat rentals can include a picnic and shelling on Keewaydin Island, fishing near and around the northern 10,000 islands or just cruising and observing wildlife up-close in their natural habitat. 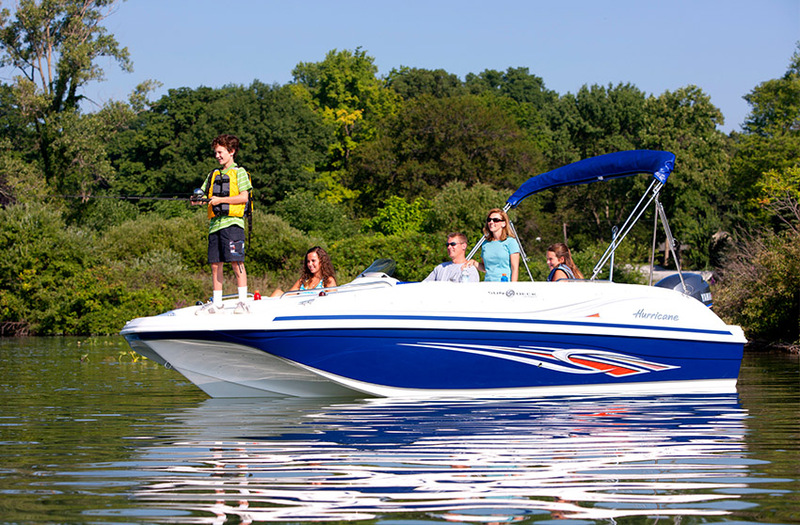 Pure Florida’s ¾ and full day boat rentals give you more flexibility to tour the waters. Cruise the 10,000 islands, visit Keewaydin Island for a nature walk, shelling, a dip in the water, and a picnic. Full-Day Boat Rentals offer a perfect day on the water where you can truly experience the paradise coast in southwest Florida. 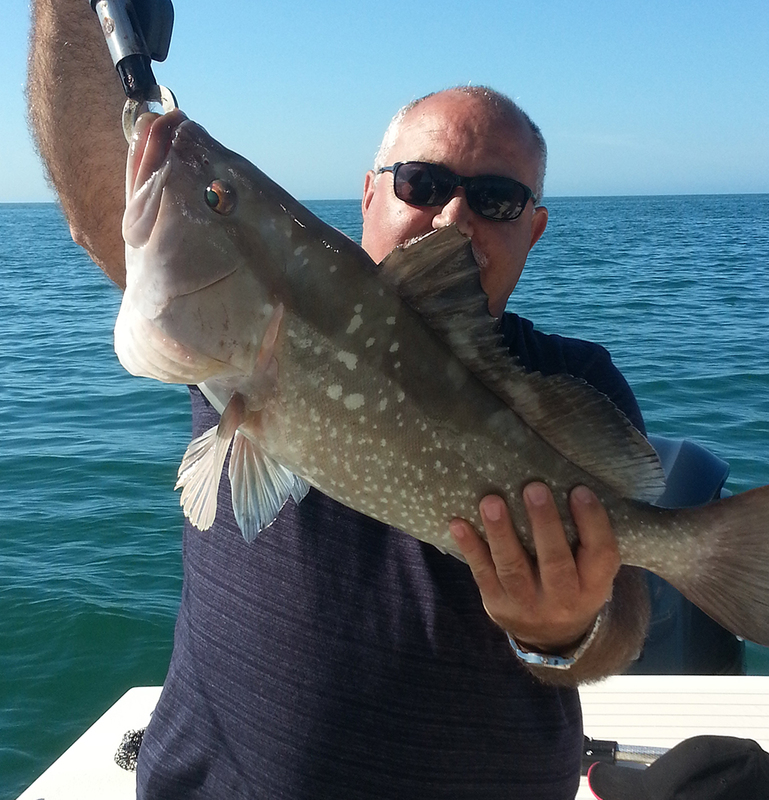 Pure Florida’s fishing charters lessen the hassle and gets you on the water fishing quickly. Avoid the traffic to the beach and head south to beautiful Naples, where you will then only cruise an hour out to Gulf of Mexico active fishing areas. 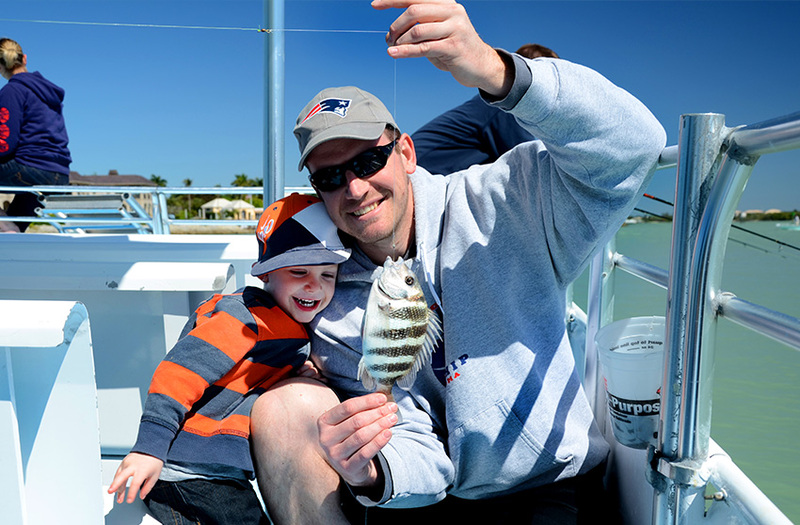 Pure Florida offers fishing enthusiasts the ideal fishing charter navigated by experienced Pure Florida Captains. Fish for many species including redfish, snapper, snook trout and others depending on season. All charters include everything you need to fish with including rod, line, reel, bait and fishing license.